The attack happened ahead of the visits by PM Narendra Modi and Congress president Rahul Gandhi to Bastar region, just days before the state goes to polls. 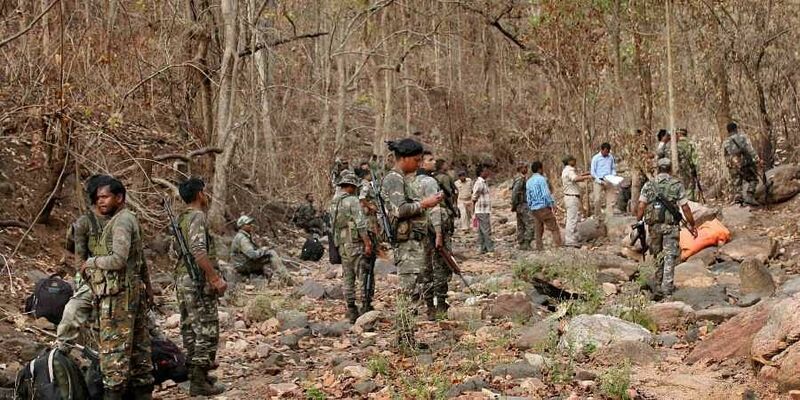 RAIPUR: Five people were killed on Thursday in an Improvised Explosive Device (IED) attack by allegedly by Maoists in Assembly poll-bound Chhattisgarh’s Dantewada district, police said. The attack comes a day ahead of visits by Prime Minister Narendra Modi and Congress president Rahul Gandhi to Bastar. The attackers targeted a CISF vehicle on its way to a camp carrying ration and vegetables for security forces, authorities investigating the blast said. “The Maoists triggered a powerful IED blast at Bacheli killing one Central Industrial Security Force (CISF) jawan and four civilians — driver, conductor, cleaner and helper who were on board the mini-bus. Two jawans sustained serious injuries. The private bus was returning after the routine purchase from the market. The blast has occurred in an isolated area far away from the VIP movement,” Dantewada Superintendent of Police Abhishek Pallava said. The deceased were identified as head constable D Mukhopadhyay, driver Ramesh Ghatkar, helper Roshan Kumar, conductor Sushil Banjara and cleaner Johan Nayak. The attack comes at a time when the state’s top police and intelligence officials are in Bastar to review security arrangments ahead of the leaders’ visits. While PM Modi will address a poll rally on Friday in Bastar, Gandhi is scheduled to address two rallies in the region on Friday and Saturday. Chief minister Raman Singh strongly condemned the attack. “It’s a dastardly act. Violence has no place in democracy,” he said, adding that he had instructed the police to make expeditious efforts arrest those involved. This is the third attack on security forces in the run up to the polls on November 12 and 20. Over the past two weeks, insurgents have mounted attacks in Bijapur, Dantewada, Kanker districts of the region.